Are you looking for a bespoke enclosure? Stop the search now! Yorkshire Laser & Fabrication is the solution to your issue. We are the ‘go-to’ manufacturer for top-quality sheet metal parts, particularly within specialist sectors such as the power generation and telecommunication industries. These sectors demand unique products, excellent customer service and bespoke housing solutions. Off-the-shelf products cannot match this requirement. 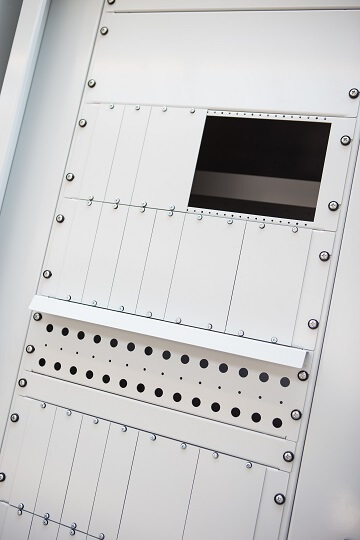 Our team can create enclosures to your exact specifications; ensuring that your components can be fitted with ease and everything is placed exactly where you want it. The list of options and possibilities you have is almost endless. Do you need your part to be light or heavy duty? Waterproof or highly robust? Stainless steel or aluminium? Painted or self-colour finish? 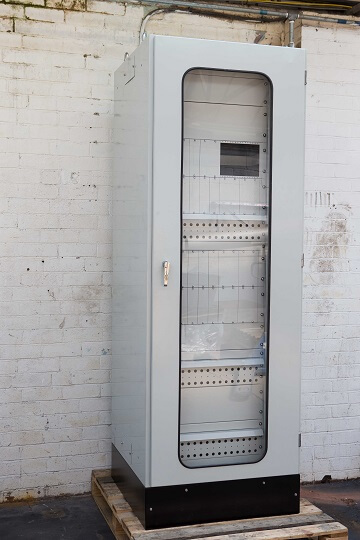 We also specialise in the manufacture of 19” racking and equipment panels which can all be supplied in whatever paint colour and IP rating you require. It doesn’t matter if you require stainless steel, mild steel or an aluminium enclosure, we are able to help no matter your needs. Any size and any shape is achievable, regardless of how complicated or complex your needs are. Our enclosures can come complete with locks, seals, hinges, handles and a variety of painted finishes. We use only the finest laser cutting tools and machinery available on the market to obtain the best cost-effective results. Look What Our Customers Say! 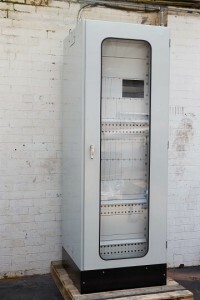 If you’re looking for a new enclosure solution pick up the phone and dial 01977 553 120. We are more than happy to help with your enquiry. Alternatively, you can click here to leave us a direct message.